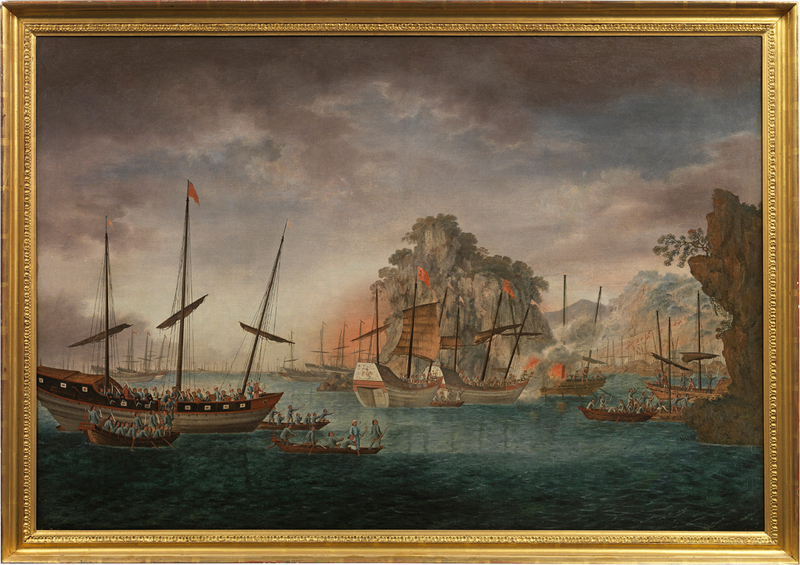 Asian art dealers Roger and Miranda Keverne donated a Chinese export painting, depicting pirates on the China coast, to the Hong Kong Maritime Museum. This painting depicting pirates off the China coast has been donated to the Hong Kong Maritime Museum. Keverne, who is also chairman of Asian Art in London, had bought the painting three years ago from a US collector. After discussions to offer it for sale for £85,000, he and his business partner and wife Miranda chose to donate it to the museum. The painting is important to the museum because it depicts legendary pirate Cheung Po Tsai and will help the museum with its project to portray maritime life in the Pearl River Delta during the 19th century. The painting depicts Chinese troops attacking pirates on the China Coast circa 1820. It is believed this and two other paintings in the collection of the Hong Kong Museum of Art depict the similar scene of the famous Siege of Lantau. This nine-day battle saw government forces attack the Red Fleet led by pirate Cheung Po Tsai. Roger and Miranda Keverne donated this painting to the Hong Kong Maritime Museum at a gala dinner in Hong Kong. This infamous pirate chief and his fleet controlled the coast of Guangdong province between 1800 and 1810 until they were pacified by a series of operations undertaken by government forces under Governor Bailing between the 1809 and summer 1810. Eventually the Red Fleet was defeated and Cheung Po Tsai surrendered and became a lieutenant in the Qing navy. 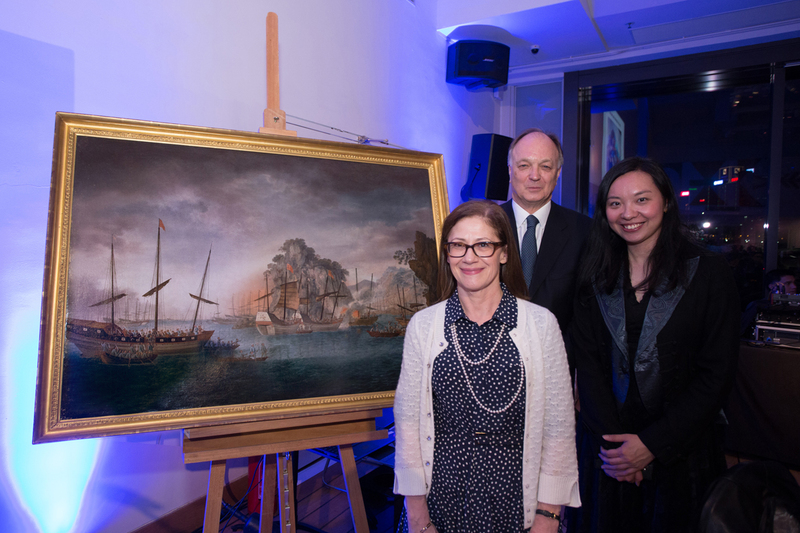 Richard Wesley, director of Hong Kong Maritime Museum, described the painting as “fascinating” and a scene that “brings to life a long-forgotten aspect of Hong Kong’s history”. The Maritime museum opened 11 years ago but relocated to Central Pier in the Central Harbour Waterfront area of Hong Kong three years ago. It exhibits more than 1000 objects across 15 galleries and attracts more than 100,000 visitors annually.